Under the influence of radiation exposure in humans occur harmful changes that can lead to death. The radiation penetrates all tissues and structures of the body, destroys them, and rarely leaves a chance for survival. 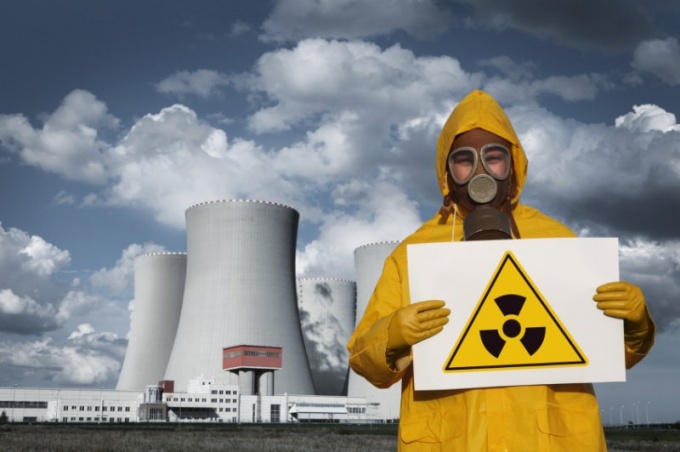 Although the influence of radiation on the body may be different, most often it is negative. Small doses of radiation can give rise to pathological processes in the organism, causing genetic disorders and cancer. Large doses result in immediate destruction of cells and tissues of the human body, so that he dies. Effects from human exposure radiation can be divided into two main groups: physical (somatic) and genetic. To somatic effects include leukemia, tumor, local radiation injuries and radiation sickness, genetic – chromosomal aberrations and gene mutations. 0.1 Gy (gray) radiation leads to an increased probability of gene mutations in two times, and 1.0 Gy – the dose for the development of radiation sickness. Radiation with a capacity of 3-5 G kills a man 2 months after irradiation (bone marrow cells cease to function normally). 10-50 G – death in 2 weeks due to the inability of normal operation of the authorities of the housing and 100g – early death in 1-2 days due to damage to the Central nervous system (the above effects are related to threshold). But stochastic effects (poor quality of education, inherited disorders) occur when any dose of radiation exposure. In the first place – the restructuring of the molecules, the effect of irradiation may manifest itself not in the place which he was subjected. The first suffers from the immune system, the body loses its protective function and becomes extremely susceptible to various diseases. Nuclear fission is absorbed by the organs in this order: thyroid, liver, skeleton muscle tissue. Only in the thyroid accumulates 30% of the decay products of radionuclides. With the strongest irradiation of developing radiation sickness. It progresses by suppressing the immune system, this leads to excessive growth and increase of cells of some organs (radiation upsets the natural order of their division – growing malignant tumor, cancer). If radiation sickness has lost all hair on the body, the patient's condition accompanied by constant nausea and malaise. Ionizing radiation exposure, which is used for medical diagnosis and treatment in radiography, fluoroscopy, computed tomography, frequent applications are able to harm your health. Effective dose allowed by regulation of the chief sanitary doctor of the Russian Federation, is 1 millisievert.